The cherry season has definitely begun. It seems like cherries are a bit like coriander. Either you like it or you don’t. Cherry cake seems to be what unites the camp though. Cherries are one of the best things I know. I recently discovered a supermarket close to where I live. To my excitement, I discovered that they sell sour cherry juice. This brought me back to my childhood and the warm Hungarian summers. I used to eat a lot of fresh cherries. Of course, eat cherry cake. And drink cherry juice. 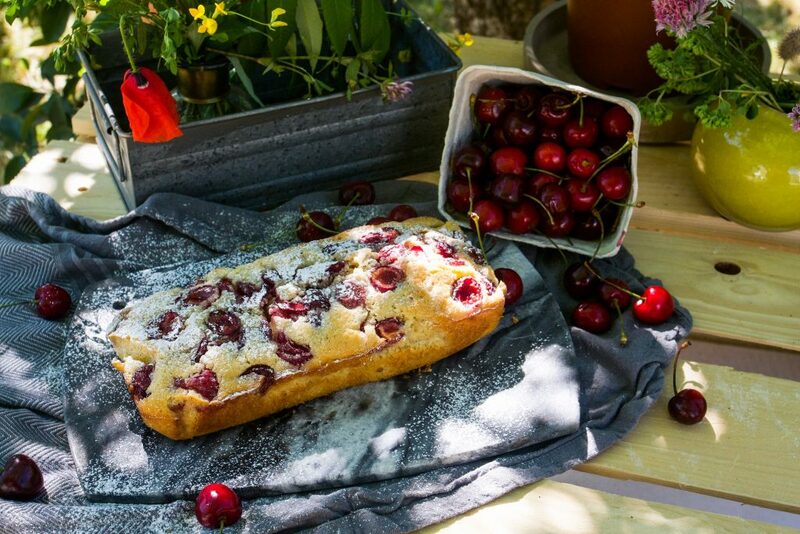 There are cherry trees in Sweden too, but somehow baked goods with cherries, cherry lemonade or cheery sherbet ice cream does not seem to be a thing here in Sweden. In fact, you almost get a dirty look when you eat something cherry flavoured. As I mentioned before, I love all things cherry. And if you are a cherry lover like me. 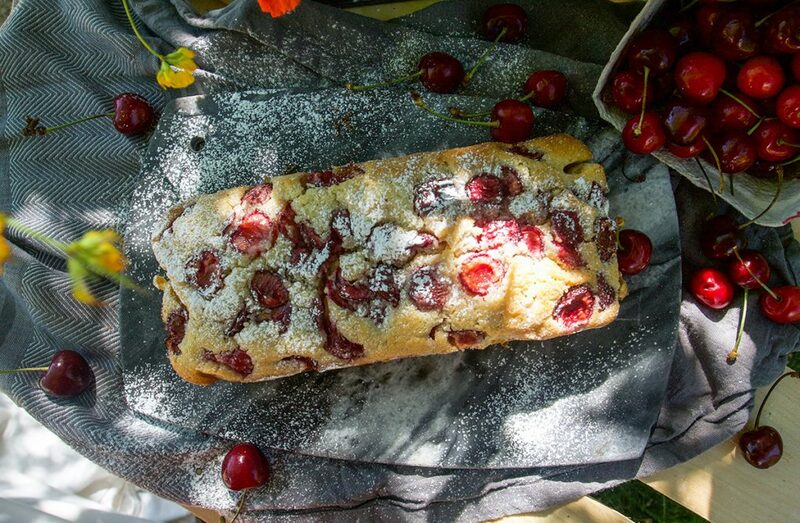 This delicious cherry cake will be right up your alley. 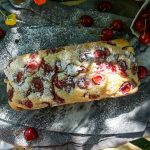 This cherry cake uses fresh cherries and will melt in your in your mouth is so good. Pre-heat the oven to 175 C/Fan. Grease and put parchment paper in a 1,5-litre pan. Pit and half the cherries. Dust with brown sugar. Mix flour, baking soda, vanilla, salt, black pepper and cinnamon in a bowl and put aside. Beat butter and sugar creamy. You get the best result if you use a mixer. Whisk in the egg and almond milk. Fold in the flour mix into the butter mix with a rubber spatula. Pour the batter into the prepared springform. Spread the cherries on top of the cake. Dust the cake with 1-2 tbsp brown sugar. Bake in the middle of the oven for ten minutes. Lower the heat to 150 C/fan and bake for an additional 40 minutes. Let it cool for about 30 minutes and sprinkle the cake with icing sugar. To get the cake really airy and fluffy use a rubber spatula. Fold rather than mix in the flour mixture into the butter mixture. And don’t overdo it. The recipes are based on my oven, temperature and times may vary. Always check the middle of the cake to see that it’s properly baked. Is the cake too crumbly? Either you may have used an egg that is very small, too little butter. But most commonly it’s been baked a little too long. If the cherries are very juicy, dust them with potato starch. After having halved, pitted and dusted them with sugar. If you relish summer flavours, I think that you would enjoy a tropical pineapple cake. 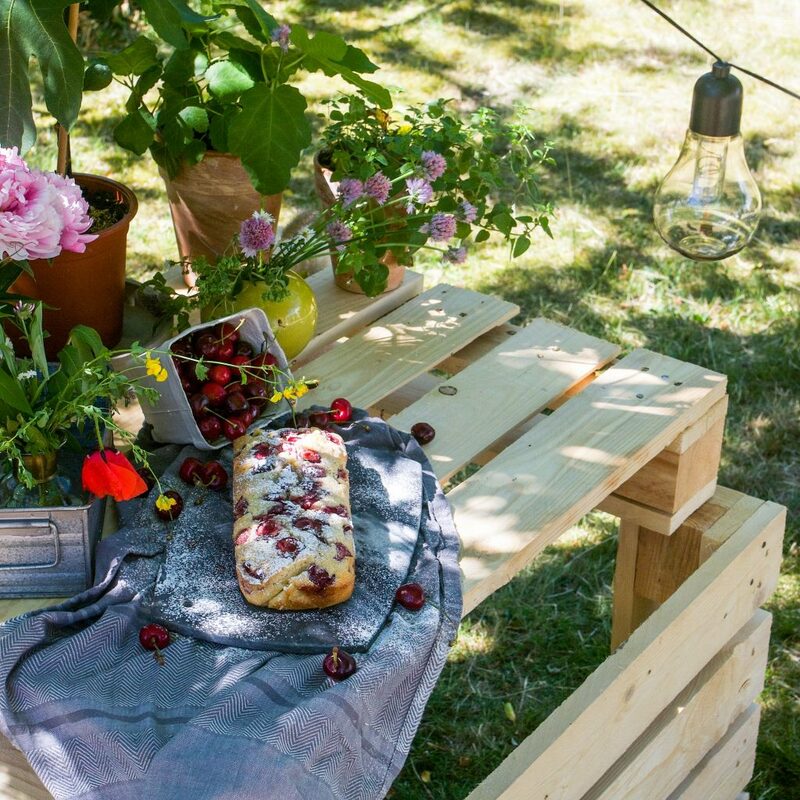 Maybe you would also enjoy a summer berry cake? I would love to hear from you! Either by leaving a comment below. Pin it or follow me on Instagram. Is the rhubarb cake recipe the same as the cherry cake’s?? should I just switch rhubarb for cherries?? ?